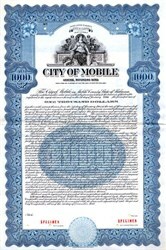 Beautifully engraved Specimen certificate from the City of Mobile, Alabama printed in 1940. This historic document was printed by the Hamilton Banknote Company - New York and has an ornate border around it with a vignette of an allegorcal woman sitting on a throne. 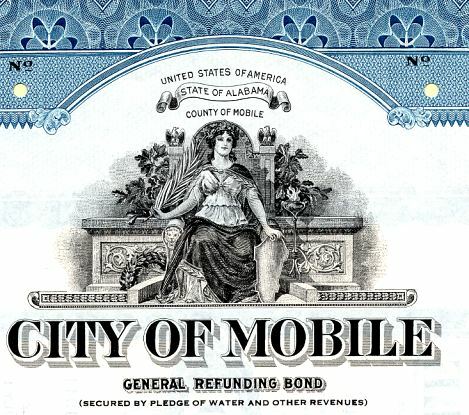 This item is a $1,000 General Refunding Bond secured by pledge of water and other revenues.